Have you ever taken your large family on a road trip? Does the very idea frighten you? 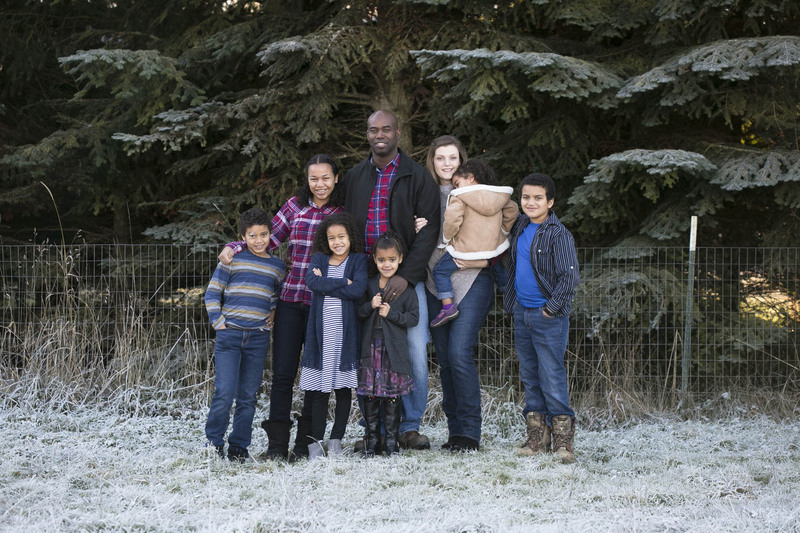 Every fall Greg and Merriann take their family on a homeschool road trip. This year one of their favorite stops was The Ark Encounter in Williamstown, Kentucky. If you have never heard of it, The Ark Encounter is an amazing full-size replica of the Noah’s Ark. 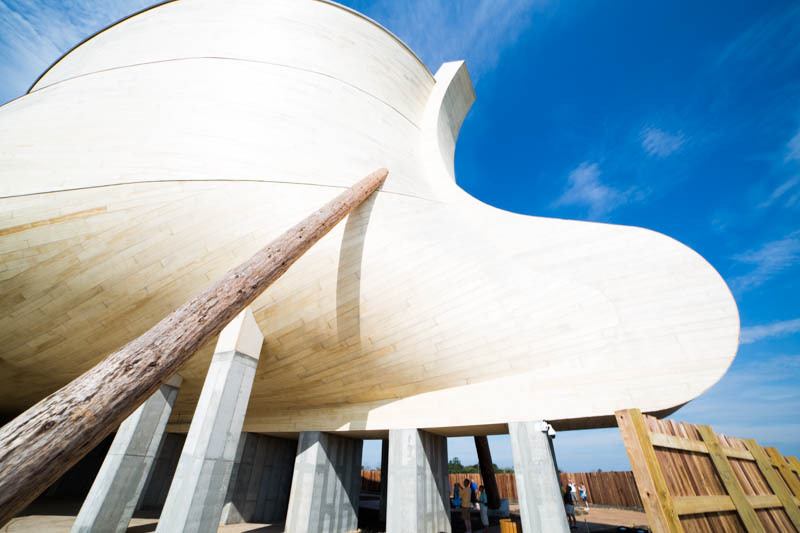 The Ark Encounter features a full-size ark, built according to the dimensions given to Noah in the Bible. Spanning 510 feet long, 85 feet wide, and 51 feet high it the largest timber frame structure in the world. It is awe inspiring to see it in person. When we arrived we were surprised to see that the parking lot is a mile away from the ark. After purchasing tickets everyone is bussed to the exhibit. We found this to be easy and really loved that we didn’t struggle to find decent parking. The ark contains three different levels which each contain a variety of exhibits. The bottom level shows cages (complete with fake animals) and storage rooms to demonstrate how the animals could have all fit in the ark and been cared for. The 2ndlevelhas more exhibits than the first. They show how air vents could have worked and how poop maintenance (the kids will love this) could have been handled. There is a kids corner and a talking Noah (animatronics). People of a variety of ages will be kept busy and entertained while visiting the ark. The 3rd level has additional exhibits, artifacts about how the Bible traveled around the world, how the ice age could have happened after a worldwide flood, and a small display about salvation in Jesus Christ and his work on the Cross. The Ark Encounter has a restaurant that can serve up to 1500 people and a variety of concession stands. To save money we chose to bring our own lunch in a cooler and went back to the car to eat it. We also visited the Creation Museum and noticed that the prices of things (such as stroller rentals) were different between the Ark Encounter and the Creation Museum. After visiting the Ark Encounter here are a few things we would do differently next time. Bring our own water bottles. The water from the fountains had a bad taste and the kids didn’t like it. Water is a necessity because of all the walking and we really wish we would have brought our own. Bring our own stroller. We ended up renting a stroller after lunch but we should have brought our own or rented one at the beginning of the day. The kids really enjoyed the displays and exhibits but the trip would have been easier if more of the kids could read. As it was we were stopping constantly and have to read each sign and display out loud. Overall this was an amazing place to visit. Our entire family enjoyed it and we think yours will too. We both give the Ark Encounter 4.5 stars. We love the Ark but it is not complete. It looks like they are still working on displays and exhibits, so we can’t give it the full 5 stars.